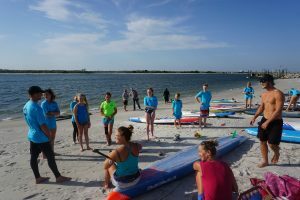 With professional standup paddleboard racers in town for the 8th annual Carolina Cup, the young paddleboarders of the Wrightsville Beach Junior Elite Team got a lesson from the pros last week. On Wednesday, April 18 at the start of the four days of Carolina Cup events. 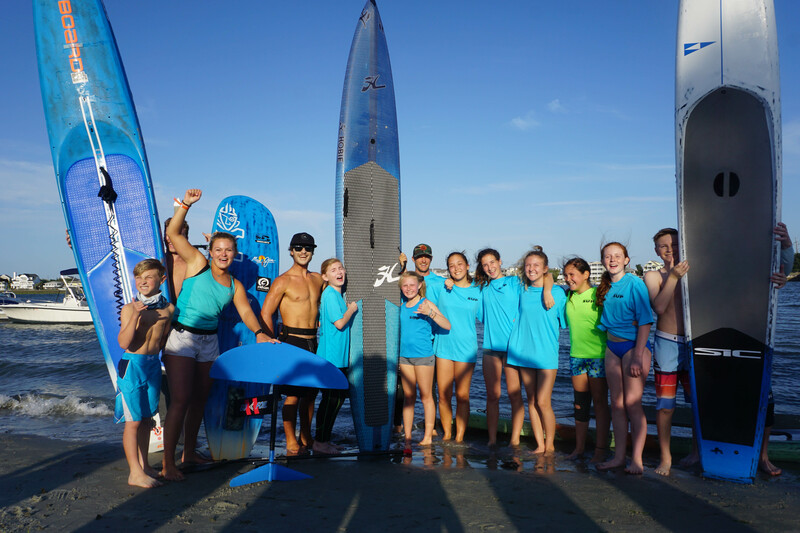 Pro SUP racers Zane Kekoa Schweitzer, Candice Appleby, Shae Foudy and Fiona Wylde came to the “JETs” home practice location of Wrightsville SUP at 96 W Salisbury St. to give the young athletes some pointers. After meeting, and a bit of joking around, the pros started by focusing on the equipment they would each need. 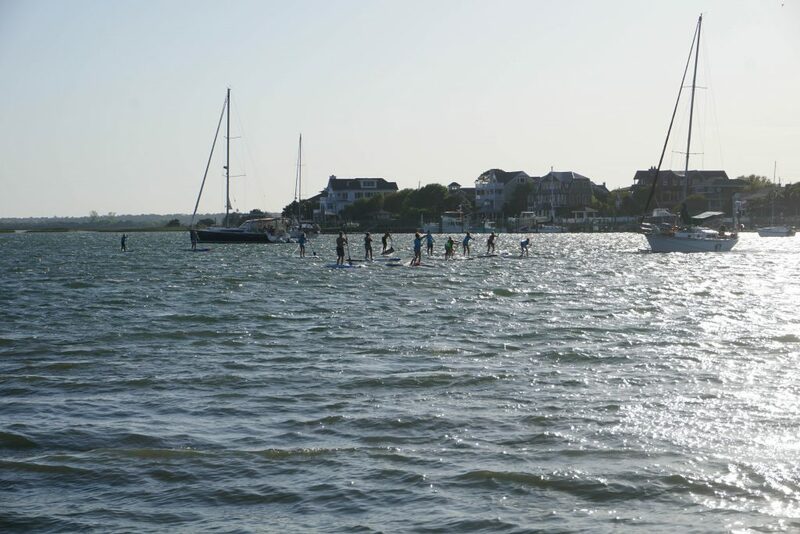 The crew then convoyed down to the south end of Wrightsville Beach, where they could ride the current all the way back to Wrightsville SUP. After a brief warm up jog and stretch, Wylde and other professionals gave a quick pep talk to the young troops. Then they were off on their 2.5-mile journey, with the racers guiding the children, giving them tips on working with the current rather then fighting it, and showed them techniques on how to get a smoother and more efficient ride. Several members of the JETs went on to compete during the weekend of racing.